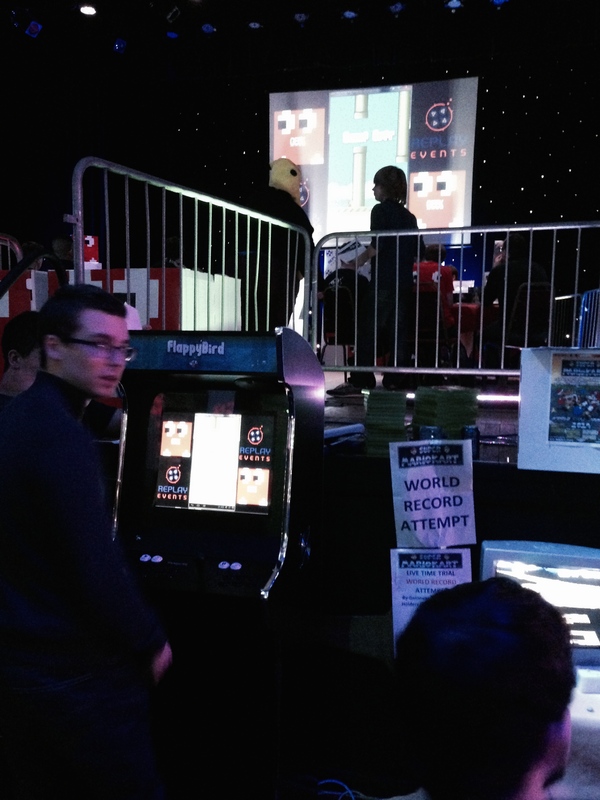 In what we believe is a world first, Replay created an arcade machine running the phenomenally successful, single button smartphone hit FlappyBird at the GEEK 2014 games festival. 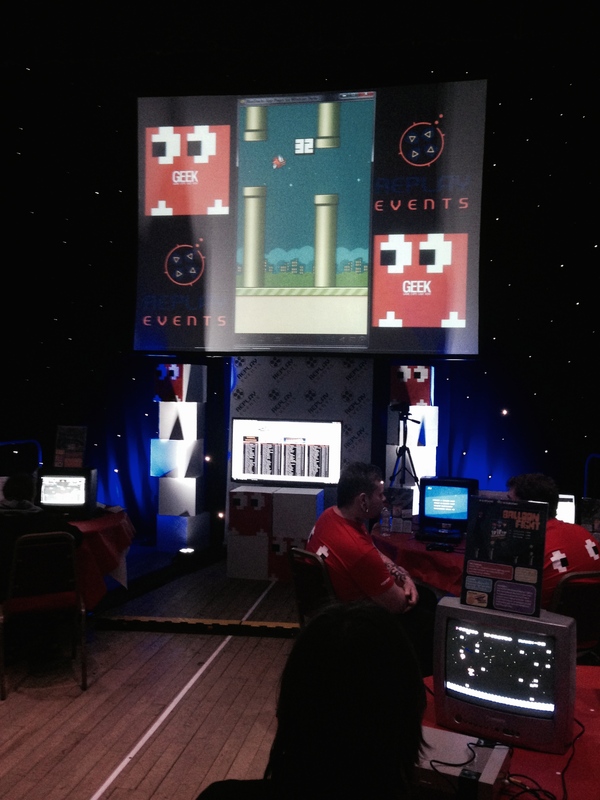 We then connect it up to the events big screen and ran the first ever live FlappyBird tournament. It was a ‘one shot’ competition where contestants had a single attempt to get the highest score. Over 80 people played in the hour long tournament with the winner scoring an impressive 57 points.